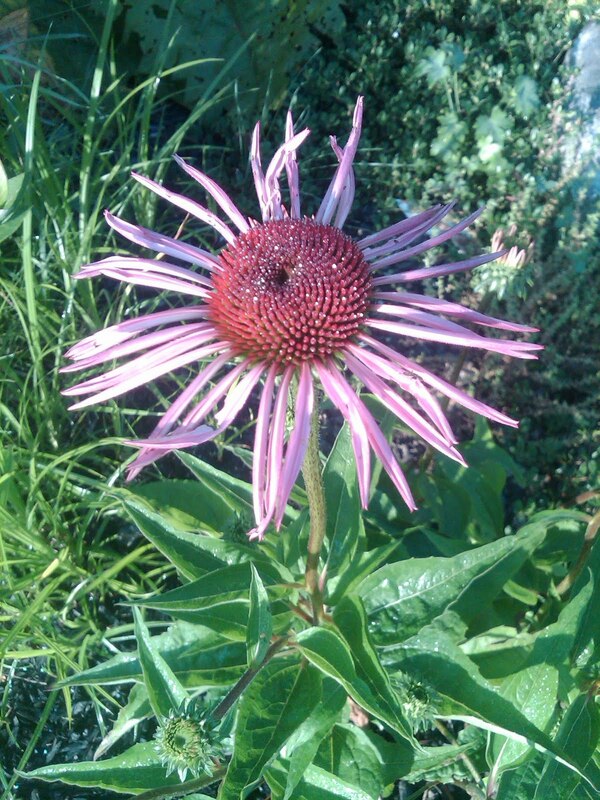 Oscar Wilde best describes these easy-to-grow natives, Echinacea (Cone Flowers) growing in the garden. “Life is not complex. We are complex. Life is simple, and the simple thing is the right thing.” This drought-tolerant plant can easily survive while you wander off on summer vacation. Its long-lasting pleasures, its simplicity are what make this flower a keeper. P.S. I just love its form and structure! Try some of the introductions but the straight species is the tried and true!